The third generation Renault TWINGO remains a unique and quirky city car with a style all of its own. Not only is it practical and fuel efficient, the Twingo is also packed full of personality and is an enjoyable drive. 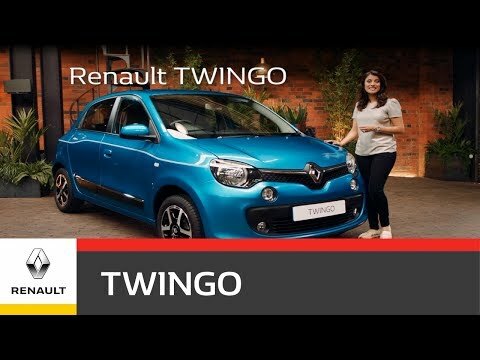 Renault have started afresh with the cars dynamics and design giving the 2014 TWINGO a new engine mounted under the rear hold for the first time . This design has allowed for considerable advancements including rear-wheel drive, a small turning circle of 8.65 metres, shorter front and rear overhangs and a longer wheelbase giving this new model exceptional agility, making it smaller but roomier and much easier to manoeuvre. Further to the exterior, the striking front-end reflects the fun-to-drive character of the car and features the signature Renault diamond badge set into a black grille and the bonnet has also been condensed to make the front-end more compact while at the rear the one-piece glass tailgate is finished in a contrasting black colour and embodies the rear light clusters. With the engines now mounted in the rear and the rear door handles also cleverly concealed in the window frames, the new architecture gives the Twingo a coupé-like appearance. Body-coloured bumpers, door handles and exterior door mirror shells, a rear spoiler and LED daytime running lights are also featured as standard across all versions. Available in four versions – the Expression, Play, Dynamique and Dynamique S. The All-New Twingo is powered by a choice of two engine options – the new 70hp SCe 70 engine and the turbocharged 90hp TCe 90 unit. On the top of the range Dynamique, drivers can enjoy Stop/Start Technology and the new engines on both variants offers up to 14 mpg greater fuel economy and reduced C02 emissions.